Our composition and rhetoric program is committed to writing as an expression of social justice, civic engagement and community partnership. We frame this work as “imaginative reasoning,” a deeply complex intellectual, creative, and political act. We use the phrase “imaginative reasoning” to capture all the ways we come to know our place, identities, and positions in the world through writing. Reasoning expresses the writer’s ability to understand the complex interplay of logical, emotional, and ethical approaches to literacy, composition, and pedagogy. Toward this end, our undergraduate and graduate students are invited to engage in the radical work of revision, of reframing again and again how we look at the world, at texts, and at ourselves. Writing is a meaningful, purposeful practice. The strongest writing emerges from writers who are invested in their projects, so we regularly invite students to develop their own purposes for composing. We view writing as valuable not only during college, but also throughout one’s personal, professional, social, and civic life. Writing, reading, and teaching are transformative processes. These processes allow us to create knowledge with others, engage new perspectives, rethink our own, and ultimately, to discover new possibilities for understanding, imagining, and acting in the world. How we define “good writing” is shaped by culture and dependent upon context. We analyze with students how ideas of “good” and “correct” writing are shaped by culture, and we consider what kinds of writing, and which writers, may be excluded by those standards in order to question these practices and enter longstanding conversations in composition. As we move into an increasingly digital world, we also aim to develop students’ facilities to compose and critically analyze online texts. Reflection is key to both writing and learning. Students regularly reflect on their writing choices and their intended effects. Reflection is a key component of revision; as we understand the choices we’ve made, we can imagine new ways of creating texts and to see and re-see the world we live in and the world we want to live in. Writing and the teaching of writing are collaborative processes. At all levels of our program, writers and teachers work together across boundaries and through community engagement to create effective texts for a variety of purposes and communities. Our teachers develop their classes in collaboration with other teachers (often across grade levels), and our program’s many research projects involve collaborative inquiry. Responsible, ethical inquiry and argument occur when differences are respectfully engaged. We are committed to fostering learning that encourages students to partake in the important civic process of recognizing the complexity and richness of human difference as they read, write, and converse with one another. Our diversity statement articulates this commitment. Located in Andrews Hall, the Writing Center offers workshops and free one-on-one consulting to all members of the University of Nebraska-Lincoln community. Our consultants are experienced writers who are adept at giving meaningful and productive constructive feedback on writing assignments, resumes, research papers, and more. The Nebraska Writing Project is a network of educators and writers that provides educators, administrators, schools, colleges, and universities with opportunities to improve, enhance and celebrate writing for classrooms and communities. We are the state affiliate of the National Writing Project. 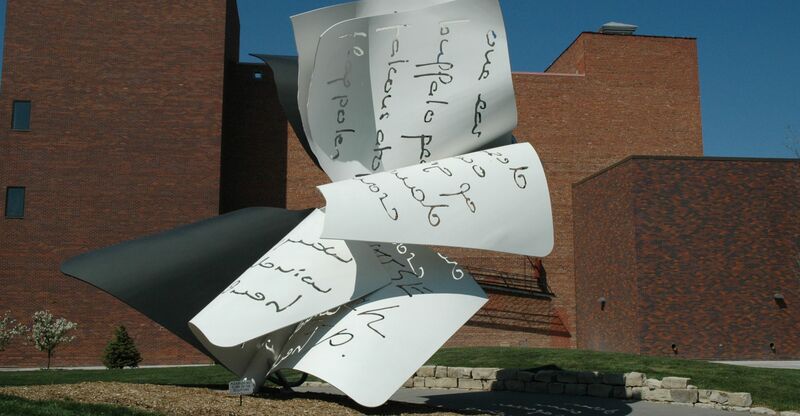 Husker Writers is a network of secondary teachers, college instructors, and community partners who collaborate to sponsor critical and creative literacies, public writing, and meaningful community action beyond the classroom. Teachers selected for the program collaboratively plan curriculum with a local non-profit partner or an instructor at a different institution to create opportunities for students to write for and with public audiences. With grant support from the Coordinating Commission on Postsecondary Education, the program officially launched in the 2017-2018 school year. For more information, please contact Dr. Rachael W. Shah.